ly 50 years in the commercial/industrial roofing industry. Typically, fully adhered to a rigid board substrate or insulation board, EPDM then is sealed by a self-adhered EPDM seam/cover tapes that fully seals joints, flashings, edges, walls, projections, laps and seams. These tapes were initially introduced in the 1980’s, replacing liquid adhesives. These adhering tapes have greatly increased the effectiveness, quality, water-tight capability and life span of the overall system. Also, this kind of system can be mechanically installed with proper steel plates and fasteners (screws), but the membrane must be reinforced, meaning it is manufactured with a scrim, built-in, that provides extra strength. 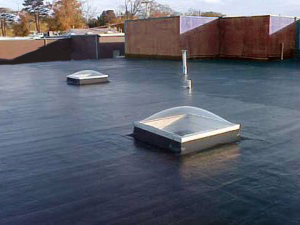 EPDM is provided by the manufacturer to the installer in large rolls that are rolled out on the respective roof field, to be installed. 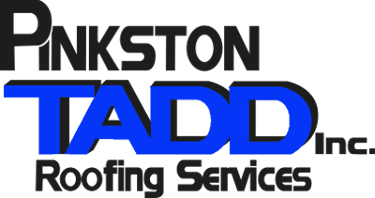 Can become very hot in high temperatures (black EPDM), causing higher energy costs needed for A.C.
Disclaimer: While Pinkston-Tadd, Inc. strives to make the information on this website as timely and accurate as possible, the company makes no claims, promises, or guarantees about the accuracy, completeness, or adequacy of the contents of this site, and expressly disclaims liability for errors and omissions in the contents of this site.The information provided herein is Pinkston-Tadd, Inc.’s opinion and provided for educational purposes only. Thank you for the kind words and passing on the site. All the best! Thank you for the input, but at the moment we will have to respectfully decline. All the best!